Everything we need is just good health. 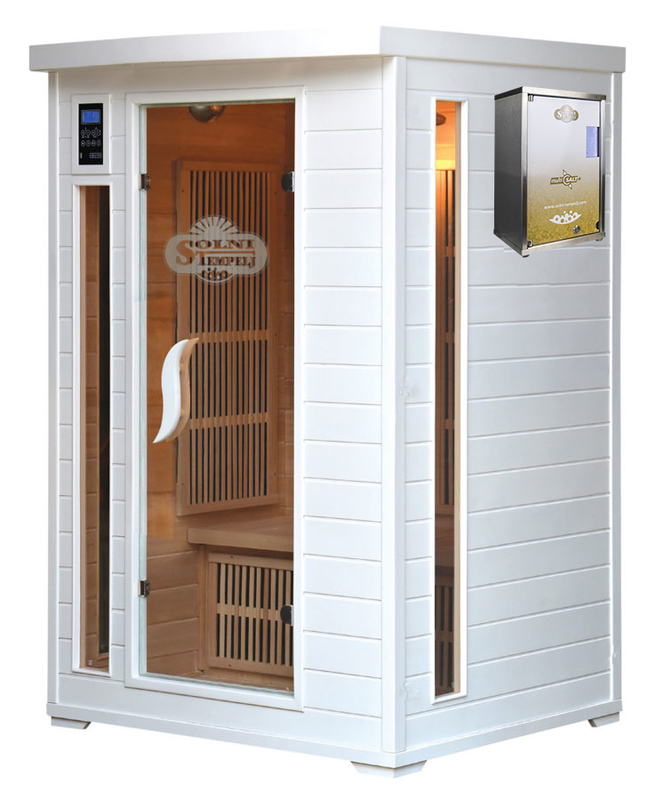 Salt, Infra, and negative ions therapy have an amazing improving influence on human respiratory, skin and immune system. And this is the right foundation for good health and satisfied life for all generation. Feel the sea, feel the sun, feel the waterfall and join the natural venture in your home. Be the winner of your situation and enjoy the benefits of the therapies. This is the time for you, this is time to have a vital life. Problems in work and private life make our situation stressful. If your life is dynamic you don’t have a lot of time for walking, running, cycling or swimming. But you can take a little time for home salt infra cabin and kill the stress. If you are living in a pollutant environment, eating food and using creams with too many additives you seriously need to detox your self. Take a time for your Detoxikation. Salt and infra therapy help you in short time to remove the toxins from your body. For good and healthy life you need energy. 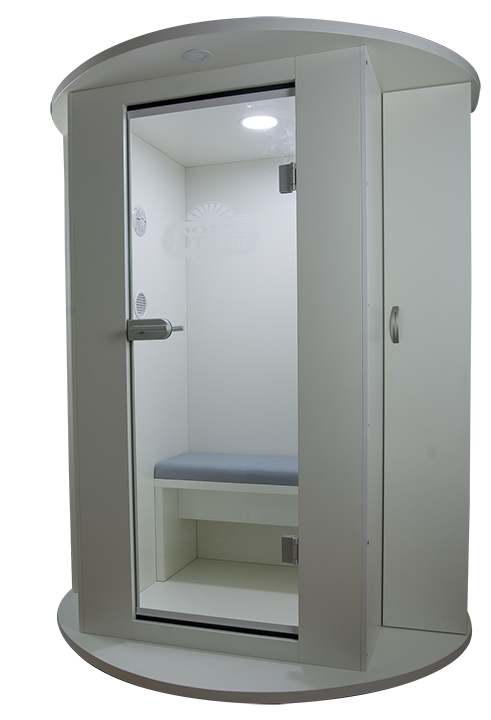 We create the energy fulfillment cabin for you. So many therapies in one place fill you up with powerful energy. This is what you need it to stay active, to feel your self and to be a positive life fighter. Be a beautiful, inner and outside. Salt and infra therapy accelerate the lymph processes to clean the skin and to give you a faster food flow to the skin to become stronger, smooth, elastic, healthy and of course younger, to stay beautiful like you want to be. Salt Infra Cabin Home Deluxe is a cabin that combines salt, infra, negative ion, color, and music therapy. Salt cabin Salt Temple Business Deluxe is a product of their own Slovenian knowledge – the development of the Grajska vrata d.o.o. 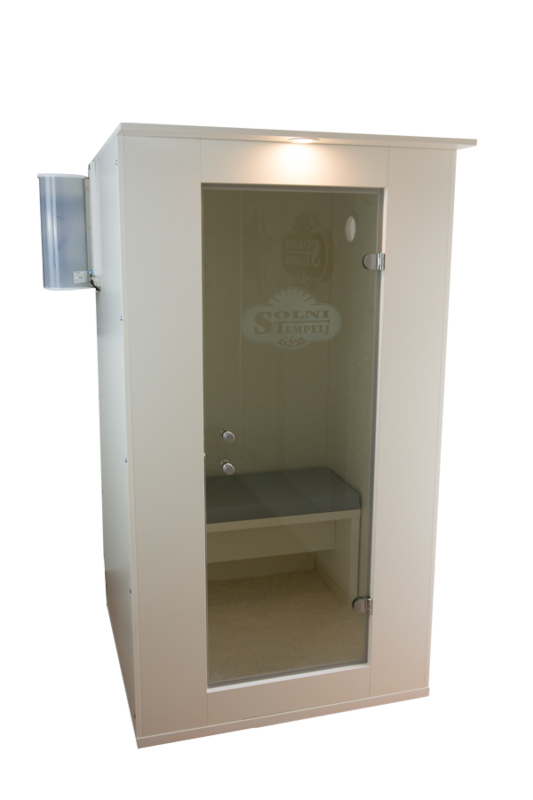 The salt cabin is a completely independent unit for the implementation of the salt therapy in body care centers (Wellness, SPA, cosmetic – massage salons) of spas – Terme or in companies for use by employees or employees. for easy use in the home environment.